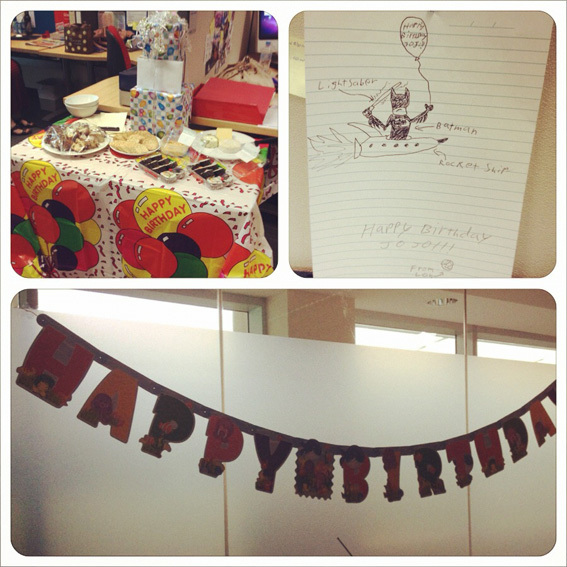 2 weeks ago, I came to work with a lovely birthday surprise by my workmates!! I got a shock! 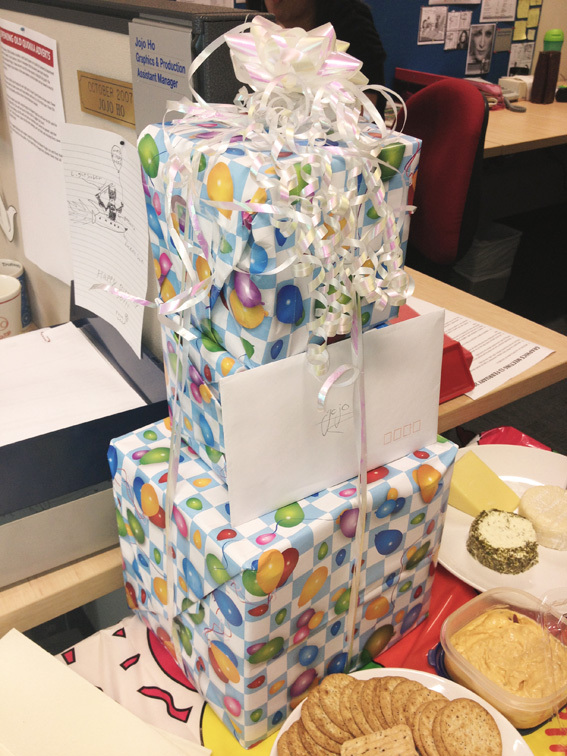 A table full of yummy nibbles, a tower of gifts and cute decorations for my birthday!! What an effort! :D I even have a drawing of Batman holding a light saber sitting on a spaceship thingy and holding a balloon from one of my workmate! :D Cute! Especially.... waiting to open the gifts!! 3 boxes!! Can you guess what they gave me? 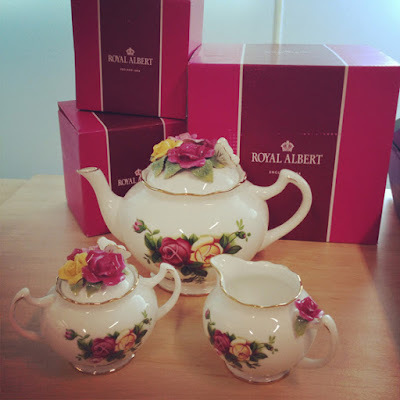 They got me the Royal Albert Tea Set!! I wanted a good tea set for the longest time and I finally got one!! Isn't it pweeetty?? The roses are so intricate my workmates were afraid to even hold it! 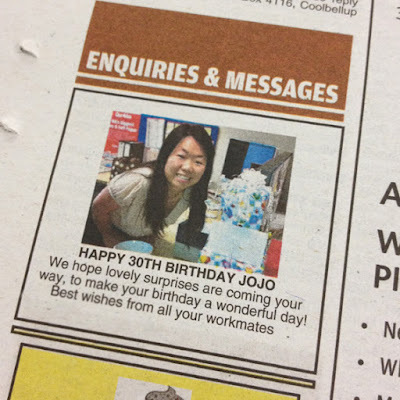 They put my face in the paper! On the night before we left to Malaysia, Franky and Alan dropped by our place for a lil chat. Franky came in with a big canvas...then he handed it to me! It's a painting done by him for my 30th birthday! How sweet!! Apparently he has been planning and thinking on what to paint for me for weeks! 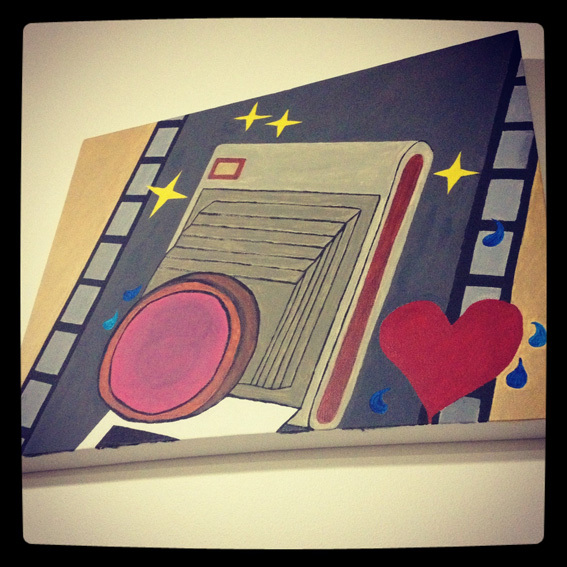 A painting about me.. about life..
Now is here in my blog too for everyone to see. hehe.. Thanks!!! !